Upon realizing that, I had buyer’s remorse. Had I make a mistake? Was I turning into sheep? Maybe. But I was determined to find out for myself, if not for humanity’s sake. Turns out, my inner-critic was wrong. Disneyland is enchanted—a captivating delight. During my visit, I wasn’t the only one who thought so. I saw several bearded, grizzled men in full Micky garb. A pair of Gothic girls sporting oversized Mini Mouse t-shirts under layers of black. A senior couple euphorically boarding Peter Pan’s Flight. Grown adults rising and falling on King Aurthur’s Carrousel with nary a concern of looking foolish. And a model-esque, exotic-looking blond inching closer and closer to a passing parade just to catch a glimpse of her favorite princess, if not touch her past. At Disneyland, the stoic and cool are no where in sight. I’ve never seen so many smiles and cheery dispositions in public. At one point I bumped into a lady in her ‘40s. We both smiled, apologized, and hi-ho’d our separate ways into Tomorrowland. Had the encounter happened “in the real world,” I would have expected a lot more grunts, grumbles, and annoyed looks. I certainly didn’t expect so much wonderment. When my wife and oldest two children exited from Indiana Jones — their first ride of the day — they did so with bright eyes and full faces. While whipping through Big Thunder Mountain or dropping from Tower of Terror, we screamed a whole lot more than we do at our local theme park. 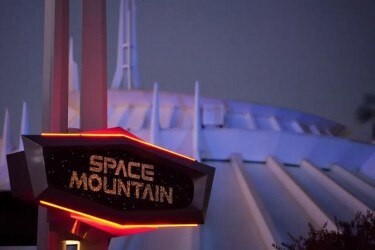 Upon approaching Space Mountain for the first time in 27 years and encountering those hypnotizing blue lights and launch tunnel, I thought to myself: let’s see if this still has it after all the years. I’m here to report, it does. I retired giddy with laughter. All three times. Like he’s done with so many of his movies, Walt Disney bottled magic in his theme parks. Not because I need them to be worth the price of admission. Not because I overvalue nostalgia or feeling young again. Not because I love my kids. But because I shared two, fun-filled days with them at a truly remarkable place. Upon retiring the first night, my wife (who entered the park more jaded than I) turned to me and said, “That was a blast!” Lying next to us in the queen-size bed, two of our daughters were sleeping in each other’s arms. I’m romanticizing, but not making that up. No, Disneyland didn’t mend the sibling rivalry between them. Maybe they were just tired. But I believe there’s more to it. We entered the park that day as a family that prides itself in avoiding tourist traps, the beaten path, and on frequenting the most awe-inspiring landscapes the world has to offer. 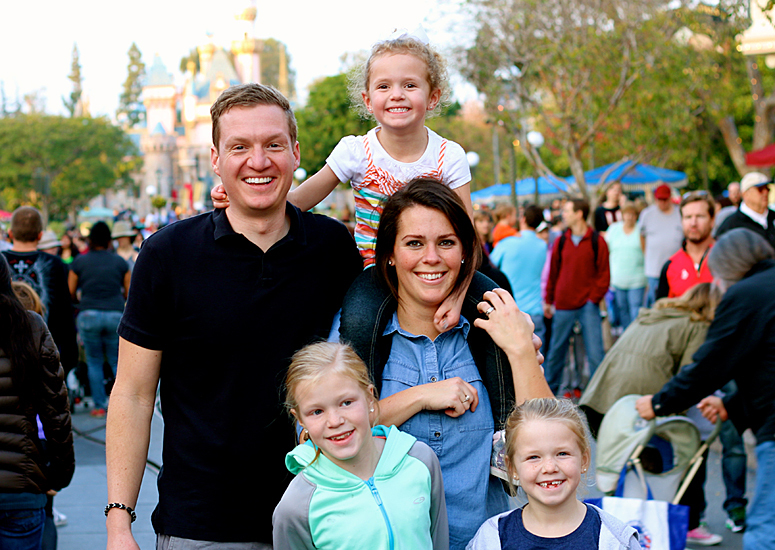 We left a little younger, a little happier, and fully converted to the gospel of Walt Disney. About those hefty ticket prices… How much can, would, or should you pay to feel young again? Is there value in spending a day (or several) at a place that captures innocence, goodwill, thrills, and imagination? 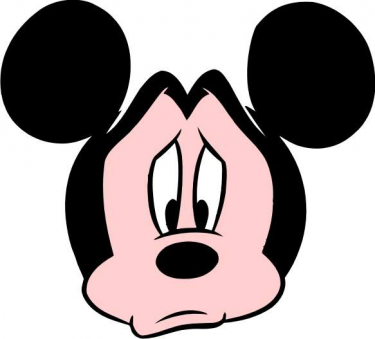 And what about long lines and costly food: how might those affect enjoyment of Disney? As someone who puts a premium on fountain of youth activities (i.e. eating milk and cookies, cutting rug, feeling the wind in my face, learning something new), Disney is well worth the price of admission, even with last year’s hike to $100 per day for adults. That’s double (if not slightly less) than several other theme parks I’ve visited as an adult, including Sea World, Universal Studios, Six Flags, and others. But Disney has two times the ride quality, three times the creativity, four times the cleanliness, amenities, and service, and five times the charm. Moreover, seeing the highly-rated Aladdin on Broadway will set you back $100, whereas a similar in-park production of it is nearly as impressive and included in the price. In that sense, Disneyland is not only money well spent, it’s money better spent when compared to similar experiences. The same goes for the food. We ate fried chicken at The Plaza Inn for $15 a plate. Not only was it three to four times better than KFC, it was the best fried chicken I’ve had since relocating from the Deep South more than a decade ago. The accompanying green beans could have passed as original fine dining, too, they were that good. The mashed potatoes and biscuits were nothing to write home about, but they didn’t taste frozen or commercially microwaved either, which is better than most similarly priced chain restaurants can say. On top of that, we devoured unexpectedly delicious shish kabobs and grilled veggies from Bengal Barbecue in Adventureland. We gobbled on delectable Chinese from Lucky Fortune Cookery in Pacific Wharf. And enjoyed dark chocolate sundaes from the Ghirardelli Parlor in the afternoon. There were a few misses. Although the all-beef franks on wheat buns were full of flavor and heavy on outdoor fun, they probably weren’t worth the $7 we paid for them. Nor were the $10 sundaes or forgettable beignets, if I’m being honest with myself. To keep costs down, we didn’t eat from any waited tables, preferring instead the well-rated over-the-counter restaurants mentioned above. But even when the edibles were questionable, it was fun to occasionally indulge in them. On a warm January night that Southern California is so eager to give, I was happy to buy $4 churros with abandon for the whole family. I’m convinced Disneyland is one of the last places on Earth where masses of people aren’t consumed by their phones. That alone has merit. On top of all the other positives, the park left an indelible impression on me and elated my spirits. I’m confident it can do the same for the young at heart, anyone seeking creative escape and bewitching thrills, or anyone wishing to see the world with younger eyes again. There I go getting romantic again. Is Disney the “happiest place on Earth” as advertised? I don’t know about that. But there’s virtue in the slogan. It is indeed a happy, happy place. That’s not the stars in my eyes talking. For any still in doubt—or was I the last one?—I can positively say Disney is anything but a tourist trap, rip-off, or somehow inferior as a synthetic apple to the authentic “oranges” of nature. An edited version of this story was published in The Deseret News. About the author: Over the last decade, Blake Snow has written for fancy publications and Fortune 500 companies as a content strategist, brand journalist, and bodacious writer-for-hire. He lives in Provo with his family. Oh, just wait. Their post-visit follow-up marketing is pretty incredible. You’ll be baaaaaack…. We were told by Uncle Bruce Snow’s friend who gave our tickets free in 1985, to go in the gates first thing in the morning and go all the way to the back of the park and work our way forward, eliminating much wait time in lines. Fun article. Why are you and dad such skeptics about tourist places? I wonder.